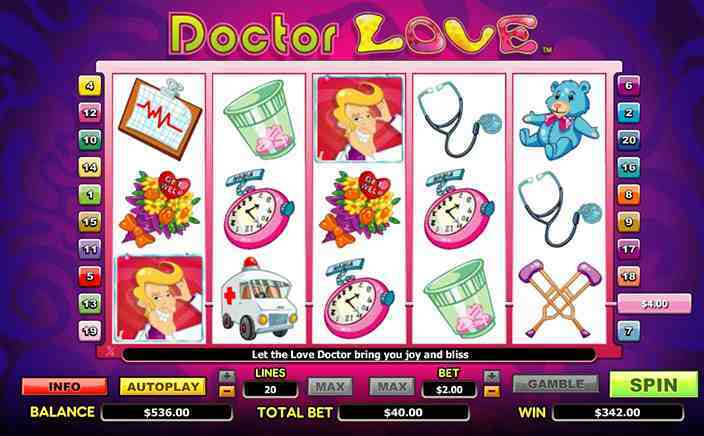 Doctor Love is NextGen gaming’s remedy to slot players looking for a way to rejuvenate themselves from the pangs of the monotony of daily life. This slot game has the extremely capable Doctor prescribing tonics of love, fun and rewards and it does wonders. The game consists of lively symbols that go well with the theme that includes the doctor, his helpful nurse, a love meter, a stethoscope and even an ailing patient. The Doctor Love slot game is a 5 reel and 20 paylines slot game. The game has a conventional slot setup so that you can be at ease from the second you launch this game. The bet lines are quite flexible and are tailored for low budget and medium budget players. The payline stakes can be adjusted from 1p to £ 2. This makes the game have stakes between just 20p and £ 40, which makes the game apt for even low budget players in search of some treatment. NextGen has certainly not left anything lacking when it comes to features regarding Doctor Love. The game is equipped with wilds, scatters and a free spins bonus game that are pretty rewarding. The Doctor himself is the wild symbol in the game and he works as a symbol substituting wild in the game. Getting 5 of these symbols to line up on your payline can get you really good rewards. However this symbol cannot substitute for the love meter symbol which is the scatter symbol in the game. The love meter is the scatter symbol and landing 3 or more of these symbols can help you in triggering the free spins bonus game. Getting 3 scatters wins you 10 free spins, while 4 scatters and 5 scatters gets you 15 and 20 free spins respectively. The best part is that all the wins from the free spins round are subject to a 3x multiplier and you can even re trigger these free spins. The game also has a gamble feature where you can gamble your winnings. You can either choose a colour or a suit. Getting the right colour out of red and black will help you in doubling your winnings while getting the right suit out of the available four will help you in quadrupling your winnings. 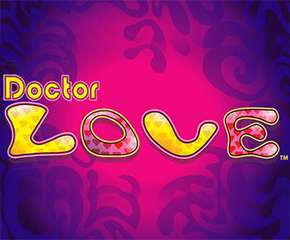 Doctor Love is a great game from NextGen that can prove to be a relaxing tonic. All you need to do is spin to win and there are no extra features over the top to be bothered about. The game has everything that a slot gamer needs from fun features to a solid RTP of 95.4% and even a great jackpot.